Jean Amila (Jean Meckert, 1910-1995), libertarian author and son of an anarchist and a deserter, wrote twenty-one thrillers, in most of which he revealed his anarchist, anti-militarist, anti-statist and anti-clerical sympathies. Following the publication of his 1971 novel ‘La vierge et le Taureau’ (The Virgin and the Bull)— which dealt with highly immoral French nuclear and bacteriological experiments in French Polynesia (presaging the sinking of the Rainbow Warrior and the murder of photographer Fernando Pereira in Auckland harbour in 1985)— he was brutally attacked, probably by French government agents, and left for dead. 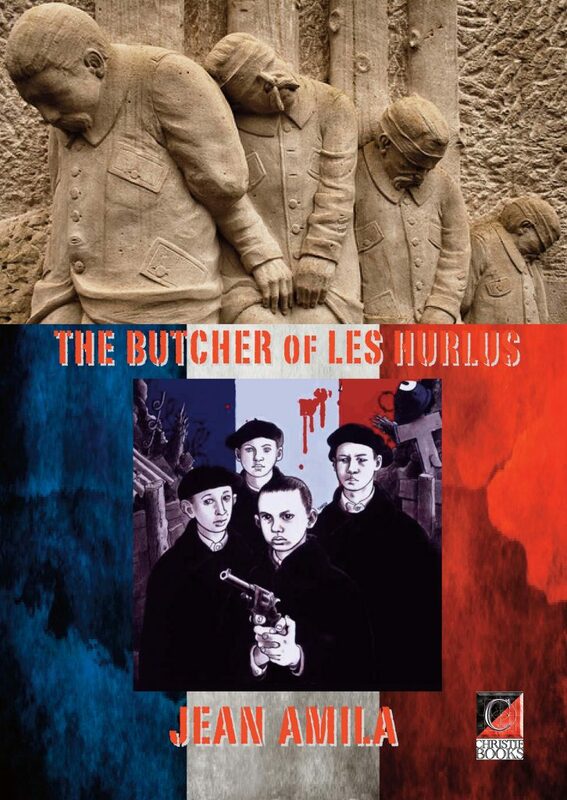 ‘The Butcher of Les Hurlus’ (Le Boucher des Hurlus ) is the story of Michou, the eight-year-old son of a soldier shot for mutiny in WWI. His mother, ridiculed and harassed by her neighbours as the wife of a mutineer, is interned and Michou sent to an orphanage where he and three young companions decide to take their revenge. With the ‘Spanish Flu’ epidemic decimating the towns and villages of France, they head for the front line to kill one of the architects of their and France’s misfortunes, divisional general Des Gringues….